Want to try something different with pasta? 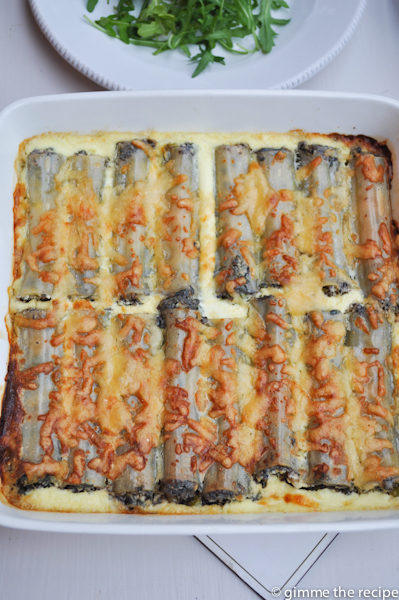 Cannelloni. Be warned though, it took me ages to get the filling into the dry pasta tubes using a teaspoon so an icing bag might be advised to speed up filling the tubes. I spooned the filling in then used the back of the spoon to push it in and then the leg of the spoon along with fingers to push it right in. It was tedious so next time I’ll be trying a piping bag. 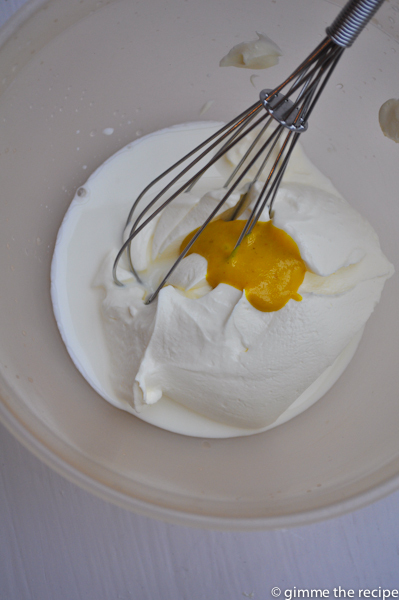 The filling is delicious and simple to make. Black pudding is having a bit of a moment as a ‘super-food’ and it’s always been a firm favourite in our house anyway. What I love about this meal along with the taste is the speed of preparation, there is nothing to be chopped other than wilted spinach which is a cinch. 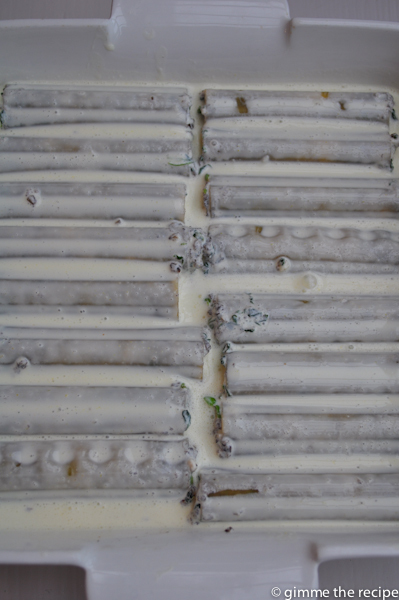 Another cheat is the creamy sauce, instead of labouring over a bechamel I combine creme fraiche, milk and mustard to pour over the cannelloni and then crumble over some cheddar, again super fast and easy, just what you want. 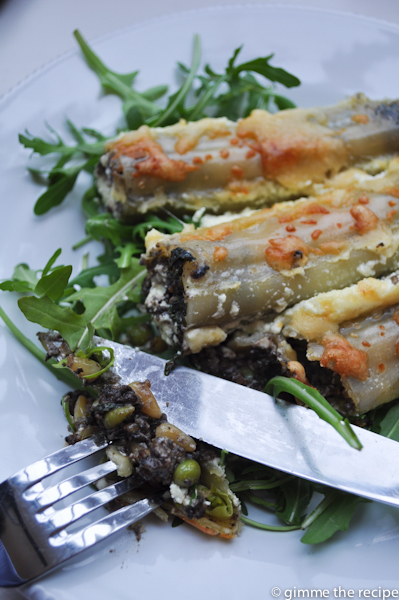 Black Pudding & Feta Cannelloni. Pre-heat a fan oven to 180C. Heat 1 tbsp oil in a large frying pan. Slice the black pudding into rounds and fry for 3 minutes on both sides then place in a large bowl. Add the spinach to the empty pan used for the pudding and add a little splash of water, cover with a lid for 1 minute to wilt the spinach. Remove the spinach to some kitchen paper and squeeze away excess moisture. Chop the wilted spinach and add to the pudding. Use a fork to crumble the pudding and combine with the spinach. Wipe out the pan and dry-fry the pine nuts until turning golden – watch carefully as they will burn easily. Meanwhile place the frozen peas in a jug of boiling water. 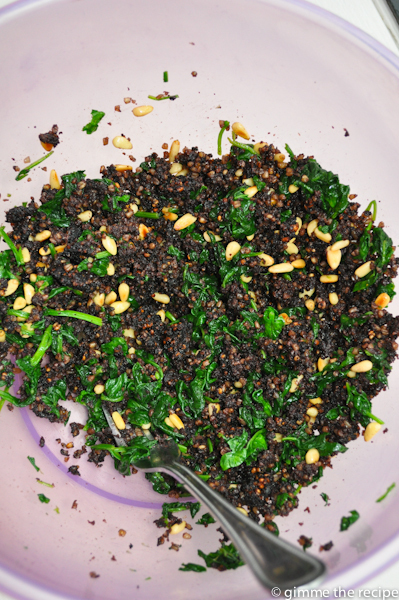 Once the pine nuts have toasted mix in with the pudding and spinach. Crumble in the feta block and combine the mixture with a fork. Finally drain the peas and add into the pudding mixture and mix well. 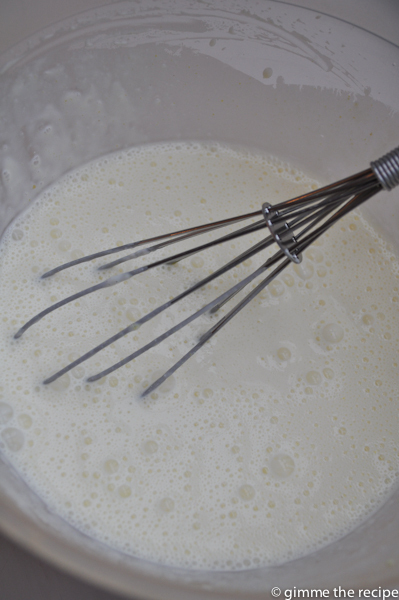 Use a whisk to combine the creme fraiche, milk and mustard in a jug/bowl and set aside. 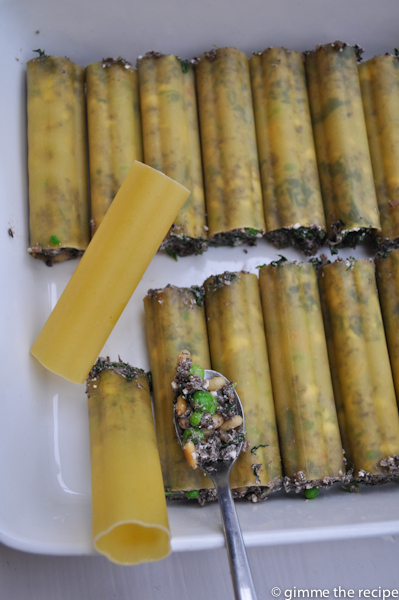 Fill the cannelloni tubes either using a piping bag or a teaspoon, packing the mixture right in. 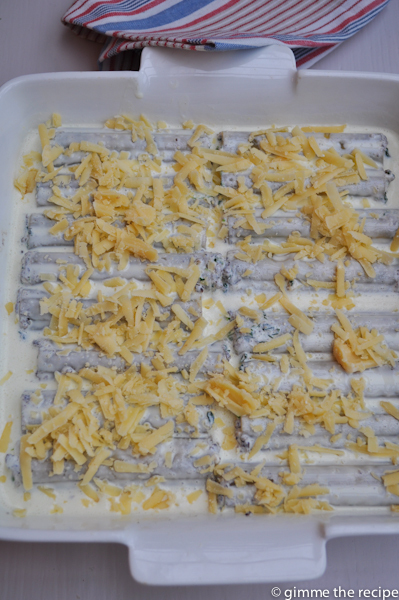 Place the stuffed tubes in a baking dish, pour over the creme fraiche sauce and grate over the cheddar. Bake in the hot oven at 180 for 20 minutes and then turn down to 160 for a further 20 minutes. Great served with a simple green leaf salad. Posted in: Recipes, What's for Dinner Mom? 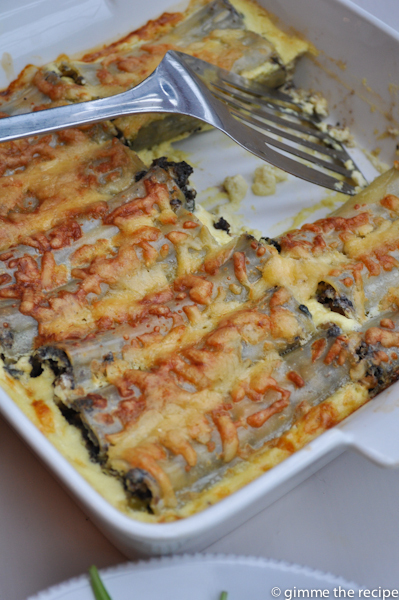 | Tagged: easy food, Feta and black pudding cannelloni, Irish Food Blog, pasta bake, quick dinner, What's for Dinner Mom?